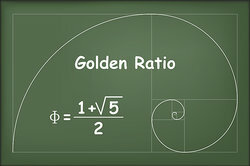 An irrational number cannot be expressed as a ratio between two numbers and it cannot be written as a simple fraction because there is not a finite number of numbers when written as a decimal. Instead, the numbers in the decimal would go on forever, without repeating. Pi, which begins with 3.14, is one of the most common irrational numbers. Pi is determined by calculating the ratio of the circumference of a circle (the distance around the circle) to the diameter of that same circle (the distance across the circle). Pi has been calculated to over a quadrillion decimal places, but no pattern has ever been found; therefore it is an irrational number. e, also known as Euler's number, is another common irrational number. The number is named for Leonard Euler, who first introduced e in 1731 in a letter he wrote; however, he had started using the number in 1727 or 1728. e is a universal number. The beginning of this number written out is 2.71828. e is the limit of (1 + 1/n)n as n approaches infinity. This expression is part of the discussion surrounding the subject of compound interest. The Square Root of 2, written as √2, is also an irrational number. The first part of this number would be written as 1.41421356237…but the numbers go on into infinity and do not ever repeat, and they do not ever terminate. A square root is the opposite of squaring a number, meaning that the square root of two times the square root of two equals two. This means that 1.41421356237… multiplied by 1.41421356237… equals two, but it is difficult to be exact in showing this because the square root of two does not end, so when you actually do the multiplication, the resulting number will be close to two, but will not actually be two exactly. Because the square root of two never repeats and never ends, it is an irrational number. Many other square roots and cubed roots are irrational numbers; however, not all square roots are. These example of different irrational numbers are provided to help you better understand what it means when a number is considered an irrational number. "Examples of Irrational Numbers." YourDictionary, n.d. Web. 23 April 2019. <https://examples.yourdictionary.com/examples-of-irrational-numbers.html>.